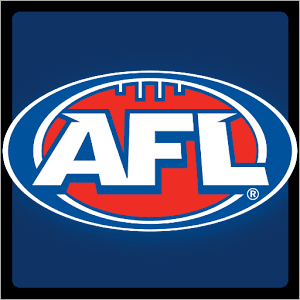 Best odds and bets for AFL 2016 | Which teams will struggle? THE footy is almost back! And with it comes the excitement of the rough and tumble of Aussie Rules. And, of course, the chance of laying a bit of hard earned on futures markets to help keep your interest up throughout the season. 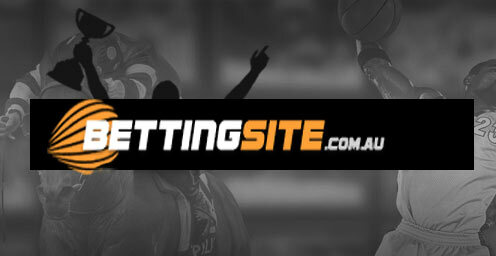 In our three part series, we’ll take a look at all 18 teams, where they sit in the betting odds, and hopefully unearth a bet or two to help you win some money for your long term investment. We kick it off with our predictions for the clubs we think will finish from 13th-18th. The Saints are another side on the up, but aren’t quite there yet. They won six games last year, but their brigade of kids, led by the likes of Dunstan are bigger and better and should be able to conjure a couple more, even with the disappointment of boom recruit Jake Carlisle’s 12 month suspension for this involvement in the Essendon supplements saga. Coach Alan Richardson is one of the most respected men in the game and he will demand excellence from a young squad on the up. Would love to see Nick Riewoldt play finals one more time, in what might be his last season, but it looks beyond them in 2016. For the dream team players out there, Jack Steven is now an elite midfielder and while he has to contend with the likes of Ablett, Rockliff and Goldstein, he is a proven accumulator in the fantasy game and should give them a run for their money at double digit odds. That $26 about gun forward Jesse Hogan looks seriously juicy. Pendles reckons this kid is that talented he can kick 100 goals next season and we think this will be the last time you see him in double figures to win the Coleman. He bagged 44 goals last season and the Dees should improve even more, giving him more opportunities to kick big goal totals. Hogan will be the best forward in the game in a couple of years if his body holds up and is the brightest spot for the Demons in a season that should feature plenty. They won’t make the finals, but the likes of Christian Petracca, Billy Stretch, Angus Bradshaw, the list goes on, will continue to develop and hopefully lead this side to bigger and better things in the future. Three words: Gary Ablett Junior. As the superstar enters the twilight of his career and rakes in his millions, he will be dreaming of taking his side to the finals. But we don’t think it is going to happen. There appears to be an endemic problem on the Gold Coast and you just feel like they are a long, long way away from visiting the post season. They lost one of their best players in Harley Bennell, after a controversial photograph of him was printed in media and while Ablett is back and the likes of Jaeger O’Meara, Dion Prestia and David Swallow will be along for the ride, we’re not convinced. With Dixon gone to Port, Tom Lynch should have little competition for leading goal kicker and, provided he stays healthy, the $1.40 is better than bank interest. The poor Bombers have been destroyed by the supplements saga that has hung over the club’s head for nearly three years. Twelve of their best players will not be allowed to suit up this season after the Court of Arbitration for Sport upheld WADA’s season long suspensions for taking banned substances and that has left the club in a dire situation. But, while there is obviously a dearth of talent out there, it has managed to sign several players with AFL experience who should be able to soften the blow slightly. Pick number five Darcy Parish has been touted as the best midfielder in the draft and at $12, looks overs for the Rising Star in a side where he should be a permanent fixture, given all the omissions in 2016. The clean out at Carlton has begun under new coach Brendon Bolton. It’s a bit of a baptism of fire for the smiling former Hawks assistance, but we’ll see how long his grin lasts as the losses pile up. Patrick Cripps is the obvious one to watch for the Blues, but he needs more help from seasoned veterans Marc Murphy and Bryce Gibbs, who, by his own admission, had a poor 2015. Gun number one draft pick Jacob Weitering is the prized piece of the club’s off season, and he will be a walk up start in key defence. Adelaide running machine Sam Kerridge is the other bloke with big expectations, but their poor showing against the decimated Bombers in the NAB Challenge reduced our hopes even further for the Blues. It’s going to be another long season for the Blues, who will need to clutch onto some positive player improvements, rather than improvements, The $3.45 for least wins looks juicy, given Essendon, while having lost so many of its young guns, has recruited battle hardened talent that should be able to stand the test of a rigorous AFL season.